It was a very windy night camped in my little tent, but she was up to the task. The wind was still howling in the morning and most of the day. 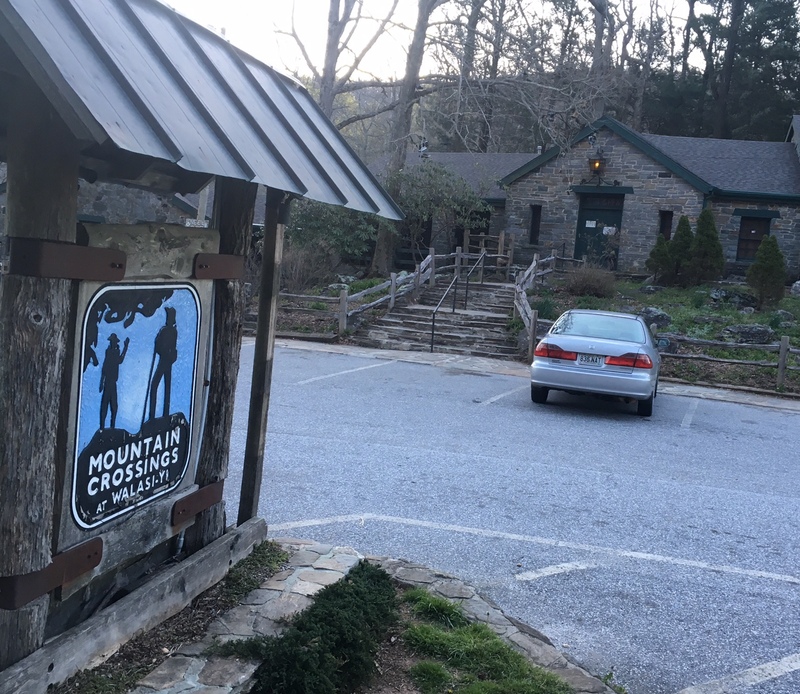 The picture below is of the famous Mtn Crossings CCC building I was camped behind. The AT literally goes through the breezeway. This is a picture of Daddy Long Legs carrying “Paul’s Shoes” which is an incredibly touching story I had heard about before I left. 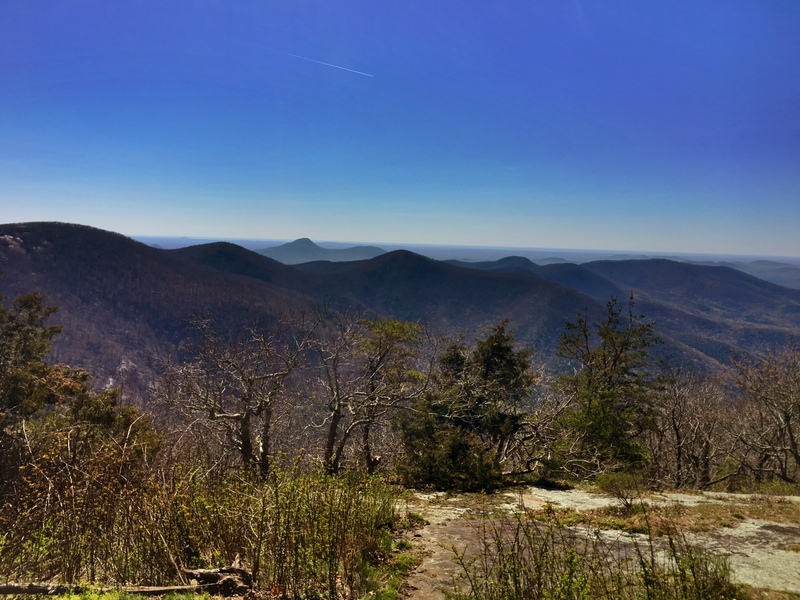 Paul lived in Australia and was making plans to hike the AT last year when he was diagnosed with a very aggressive cancer and died several months later. 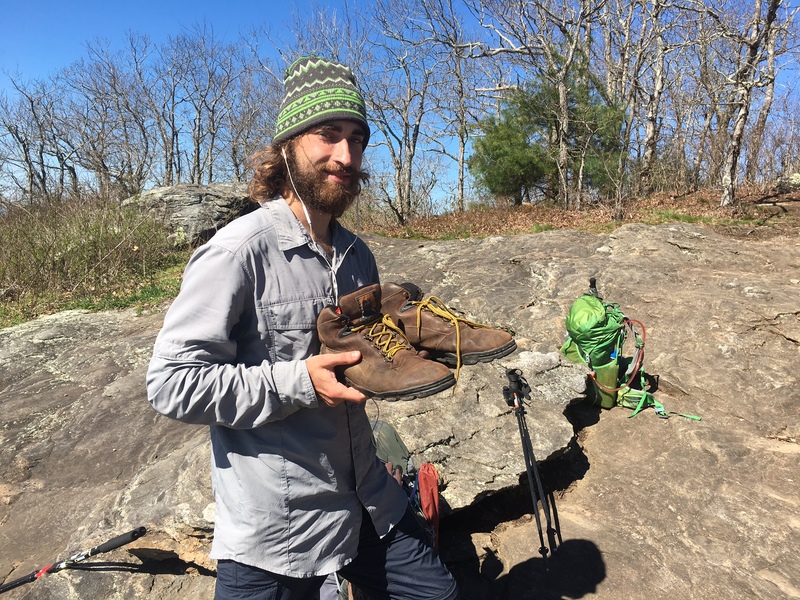 His wife reached out to the hiking community to find someone to take his shoes on the journey and send her pictures along the way. I think the website is PaulsShoes.com So cool to actually see Paul’s Shoes ! Great view on a bluebird day from CowRock Mtn. 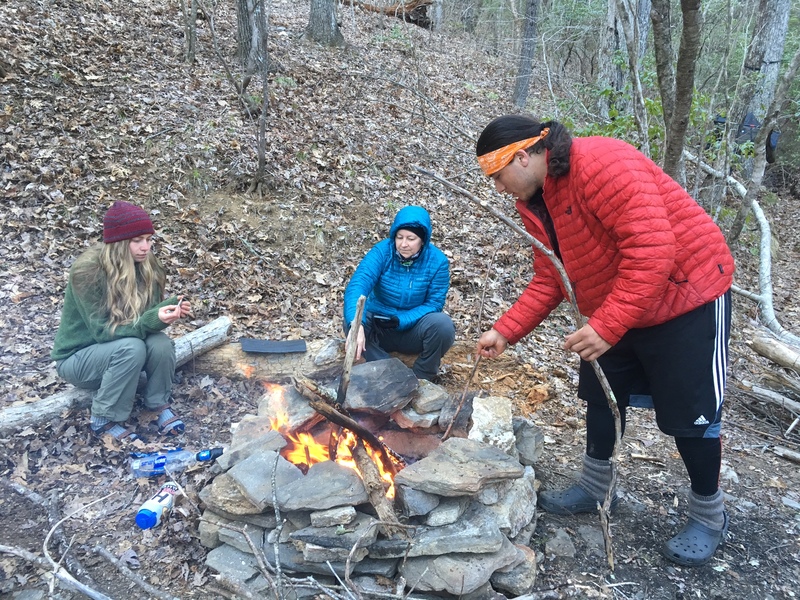 Some new AT friends around the campfire at Poplar Gap campsite. 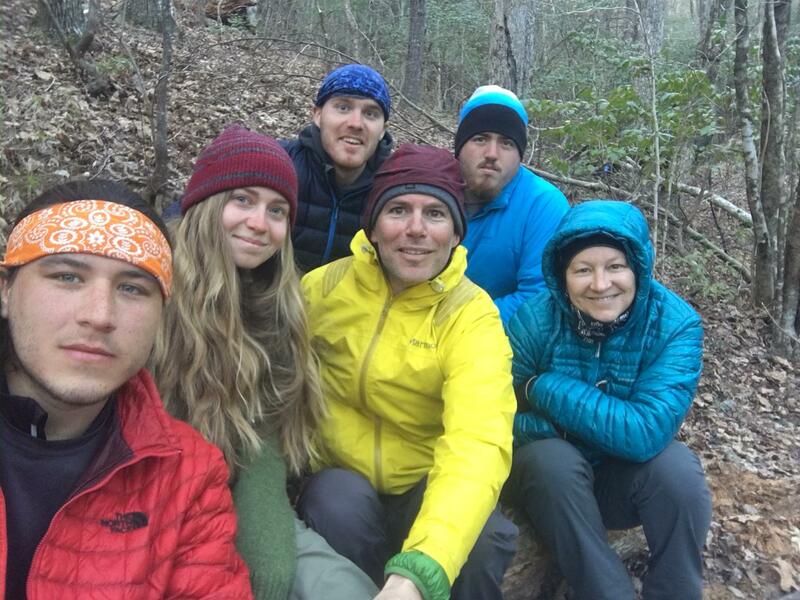 Selfie shot with Dave, Gretel, Mace, Polar Bear and Trail Mix. A tight fit squeezing 5 tents on the only small flat area. Also wanted to make sure I didn’t forget to mention i will being going thru Young Lick Knob tomorrow…no joke !